It's interesting to see that the number of protests planned for 5 November is starting to grow. The first actual protest, Remember 5/11, was announced early, back in May. 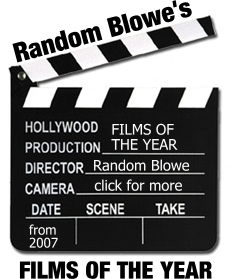 It calls for a recreation of the closing scene from the film 'V for Vendetta' at 7pm. Earlier in the day, the Old Holborn blog has called for "a walk in the Autumn sunshine" rather than a protest, starting at midday. 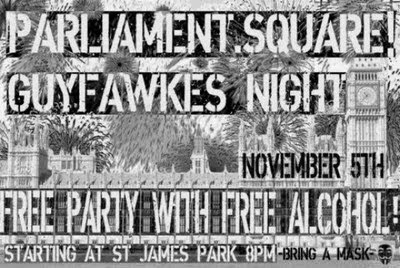 Now the anarchos have made an announcement on Indymedia of a 'Big Political Party' - with the promise of free alcohol, no less - starting at 8pm at St James Park and converging on Parliament Square.